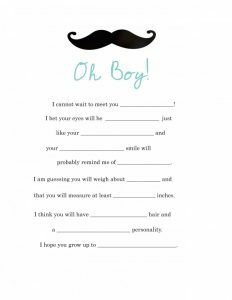 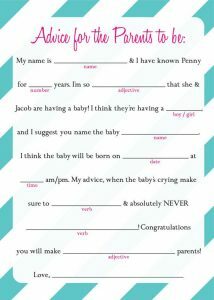 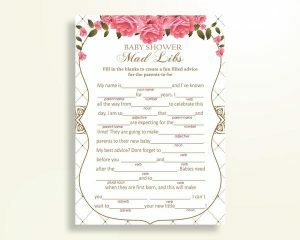 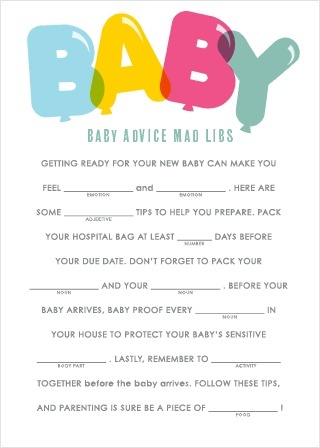 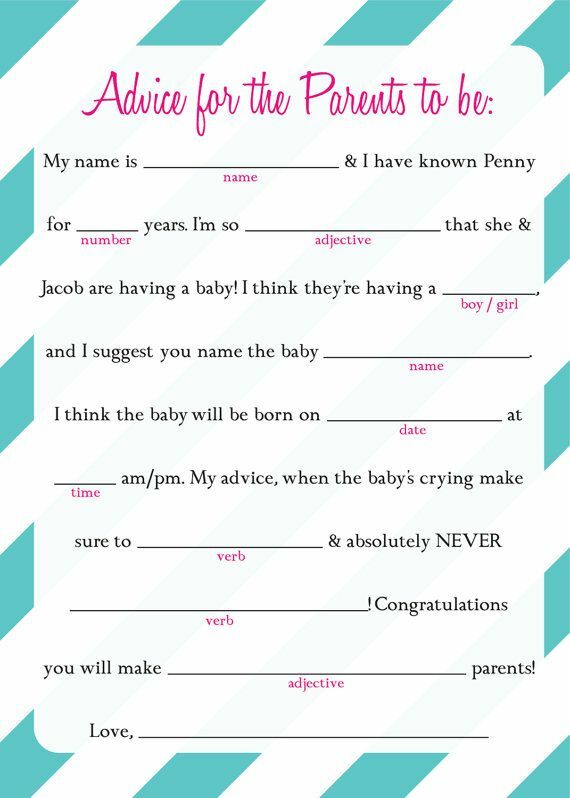 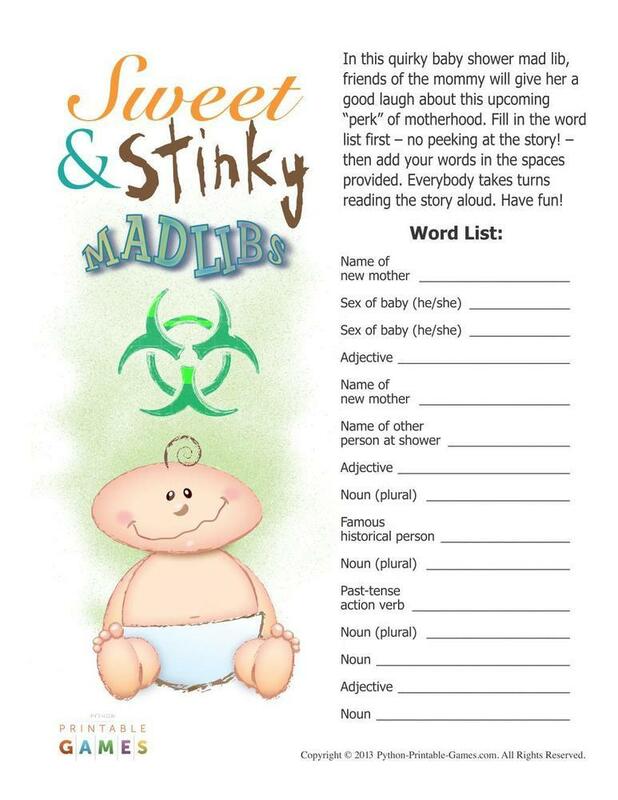 Mad libs keep your baby shower party alive and kicking. 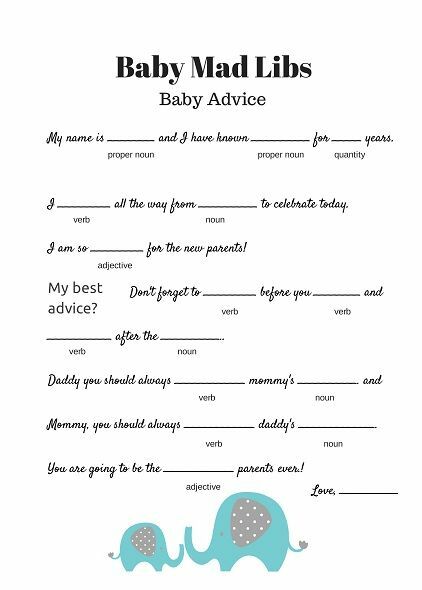 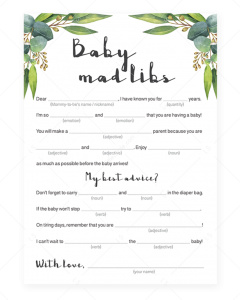 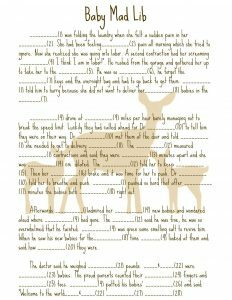 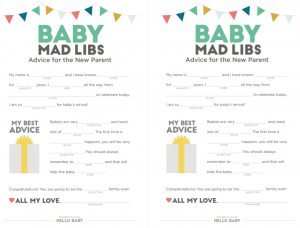 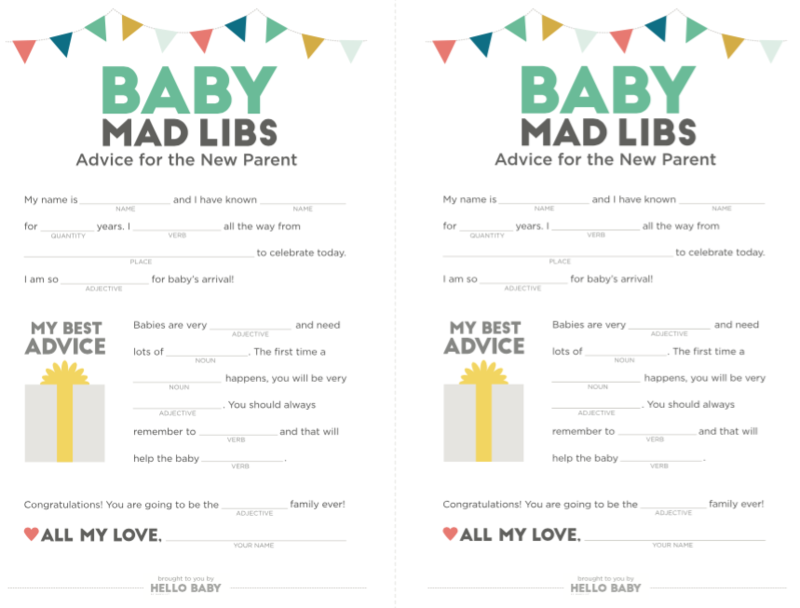 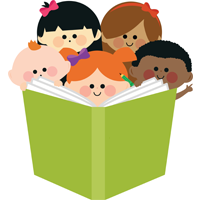 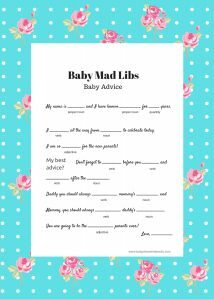 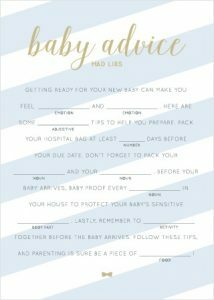 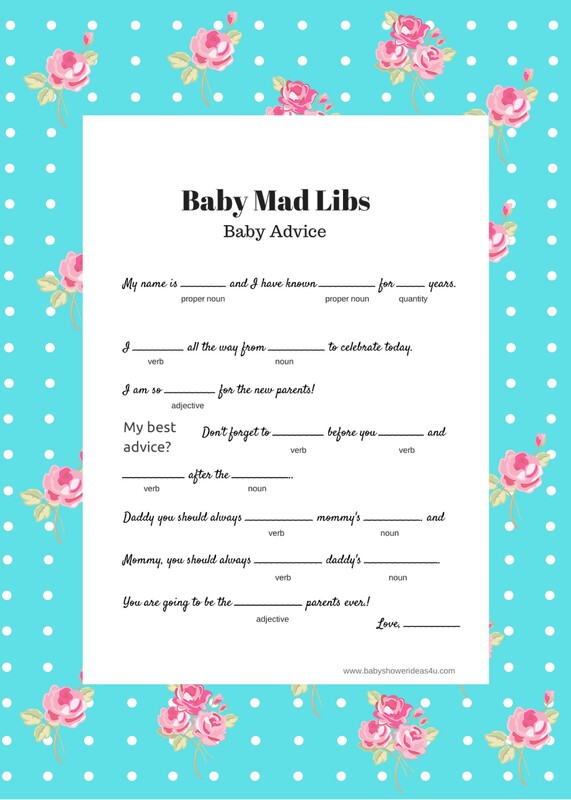 Guests would love to put down advice for the new parents, complete stories and describe the newborn in their unique way by completing the mad libs. The parents to be can get an idea of how it would be to have a baby, how many nappies to change, what would be the experience of staying awake at nights, etc. 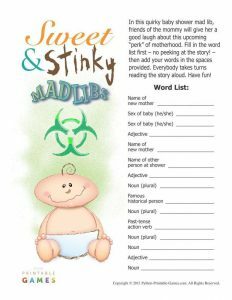 by going through the completed mad libs. 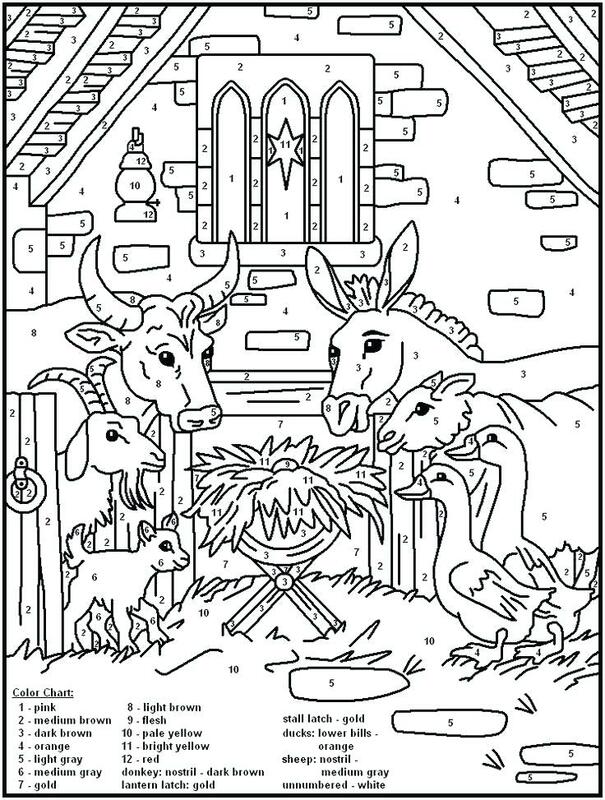 However, they are not to be relied upon entirely as each baby is different and sometimes, people like to fill up mad libs for fun. 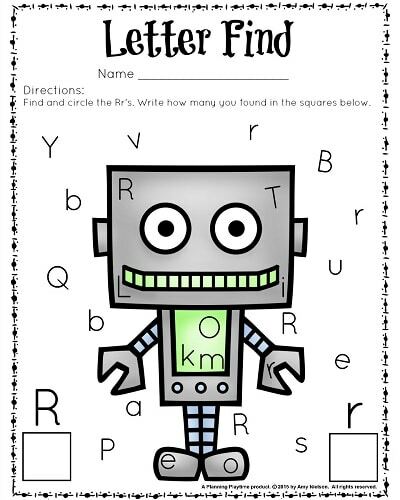 Get ready to plunge into the world of a baby by solving the above and checking your answers with others when playing in a group. 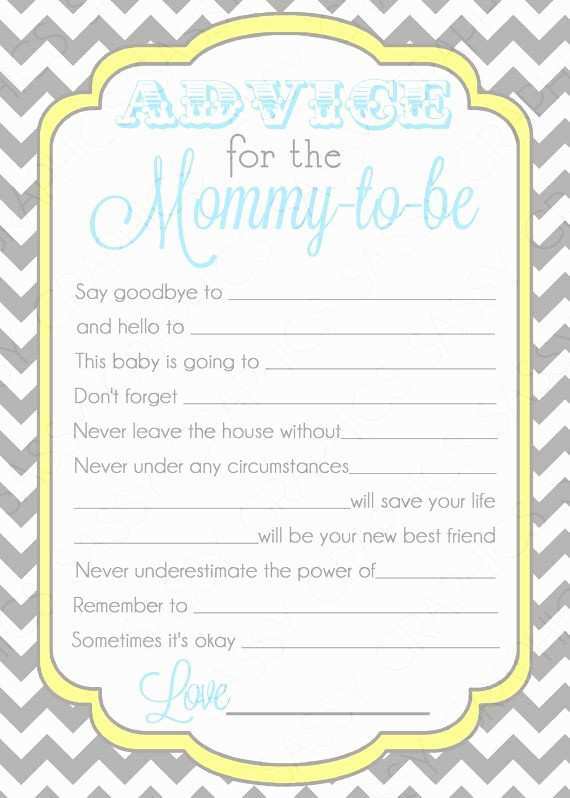 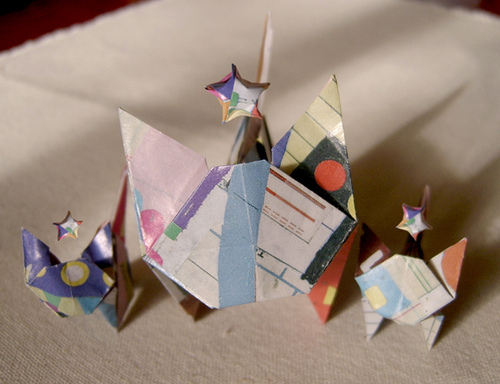 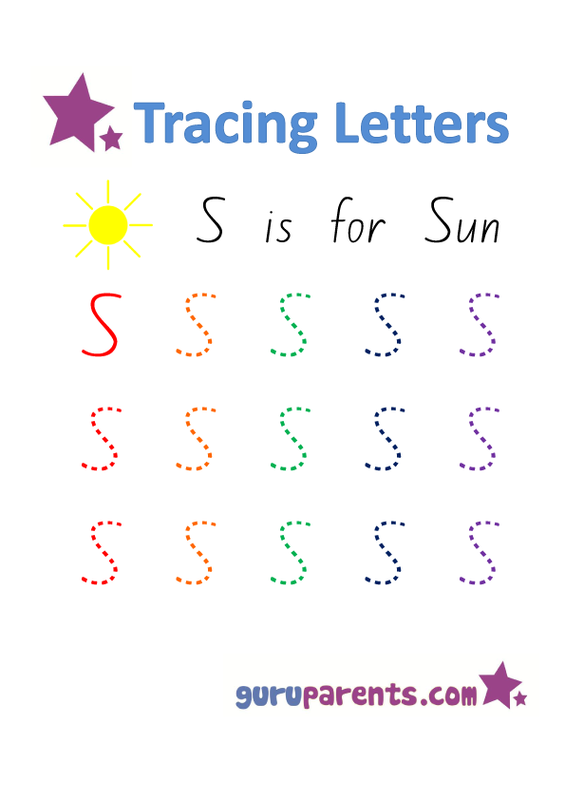 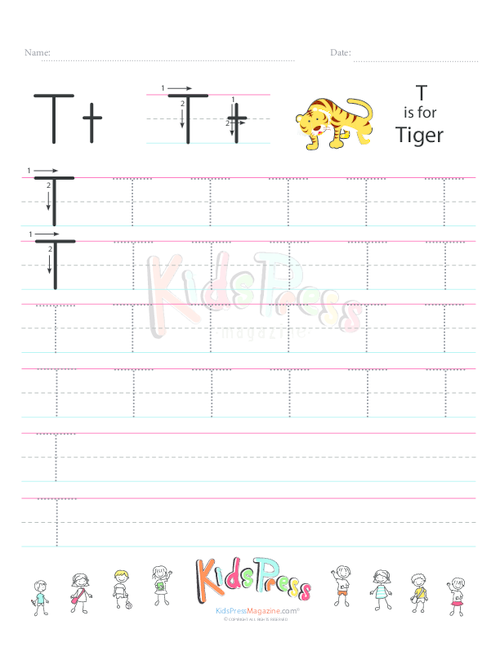 Note that almost all the printables have cute, colorful designs and stylish fonts on them.